The latest word going around is that Mugen UK plans to unveil the latest Mugen tuned CR-Z at Goodwood. There will likely be a body kit that includes a carbon fiber hood, new fascia, rocker panels and rear wing. The interior will also likely be fitted with Recaro seats and many white-faced gauges. Also included will be some significant changes to the exhaust system with the addition of a supercharger. 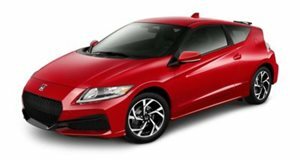 The Mugen Honda CR-Z will have approximately 200hp and cut around 110lbs of weight from the standard car in order to improve the brakes, wheels and tires for a much lighter feel. Although the official debut of the new and improved CR-Z will be at Goodwood, we think this video clip should give you a sneak preview and satisfy your curiosity as well.